Yuchai Dongte Special Purpose Automobile CO., LTD. Product categories of 20FT Tank Container, we are specialized manufacturers from China, 20Ft Tank Container, 20Ft Iso Shipping Tank Container suppliers/factory, wholesale high-quality products of 20Ft Liquefied Petroleum Tank Container R & D and manufacturing, we have the perfect after-sales service and technical support. Look forward to your cooperation! 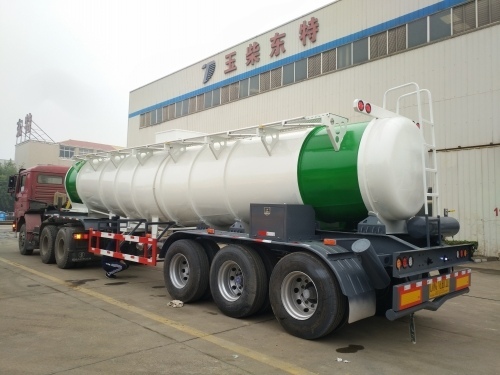 As a professional manufacturer, we continuously work to produce all kinds of tank container which meets world standard, includ ISO TANK, CHEMICAL LIQUID TANK, POWDER TANK, LPG TANK and so on, at the same time, we also offer correlative technique consultation and services in this field. our company has a strong and perfect quality assurance system and good corporate culture, please feel free to contact us if you are interested in any of our products. We sincerely hope to cooperate with clients from all over the world. Copyright © 2019 Yuchai Dongte Special Purpose Automobile CO., LTD. All rights reserved.